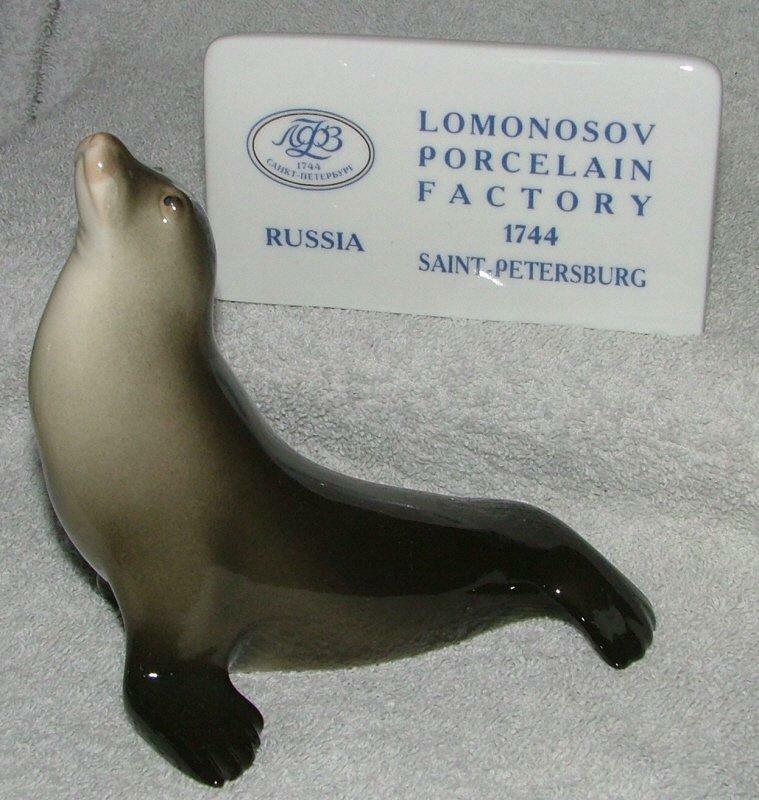 This seal is from the Lomonosov factory. It measures approximately 13 cm high by 13 cm long (about 5 x 5 inches) and will make an excellent addition to any collection of animals. All our Lomonosov items are brand new and they all bear the Lomonosov logo on the base. Some also bear the words "Made in Russia". The backstamp is usually a blueish-grey but is occasionally a darker blue or sometimes red.